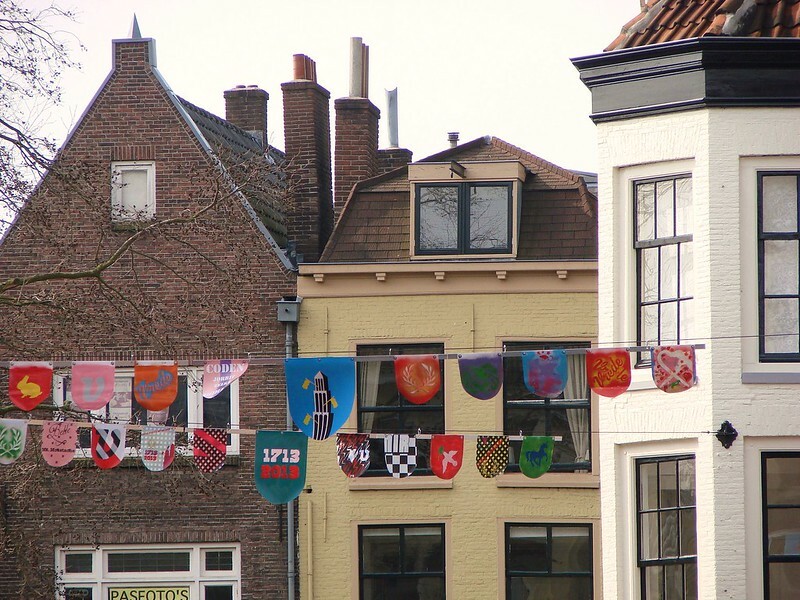 Utrecht is gearing up for the big celebration of the 300th anniversary of the Treaty of Utrecht this week. Banners are strung in the streets and the Domtoren is getting the finishing touches for the big light show that will launch on 11 April. The list of events that will be taking place this year is impressive. There’s plenty going on in Utrecht, even when we’re not celebrating the end of a war, but I still get people writing to me as if I live in Amsterdam. While Utrecht is only 20-minute train ride from Amsterdam, it’s still its very own city and a unique one, too. To remind you, here are a few of my past posts where I talk about how great Utrecht is and why websites and magazines and more should pay attention to Utrecht (and other cities in the country) not just Amsterdam. Nothing against Amsterdam, but in such a small country, why not check out a few other cities while you’re at it! Coming up this weekend, hopefully, will be some more gargoyles and maybe a mention of the Domplein trees that have pulled up roots and moved. However, this weekend is also the spring beer festival over at Leidig Erf, so who knows what will actually get done. Anyone else going to the festival on Saturday? This post originally appeared on A Flamingo in Utrecht and has been republished with full permission. [box size=”large” border=”full”]Meet Alison, a woman from the southern US, who now finds herself in the Netherlands, thanks to an Italian boyfriend. Alison a native Floridian who has spent time in North Carolina, New Orleans and New York, before continuing herlove affair with the letter N and moving to the Netherlands. She is an art historian by degree, an editor by profession, and a photographer in her mind.